John Merkel, AJ1DM, is a shining example of the spirit of giving back and paying it forward. His volunteer activities include teaching tech classes, being a Volunteer Examiner, actively participating in fox hunts and special events, and donating time to introduce kids on Indian reservations to the fun and excitement of Morse code and CW. 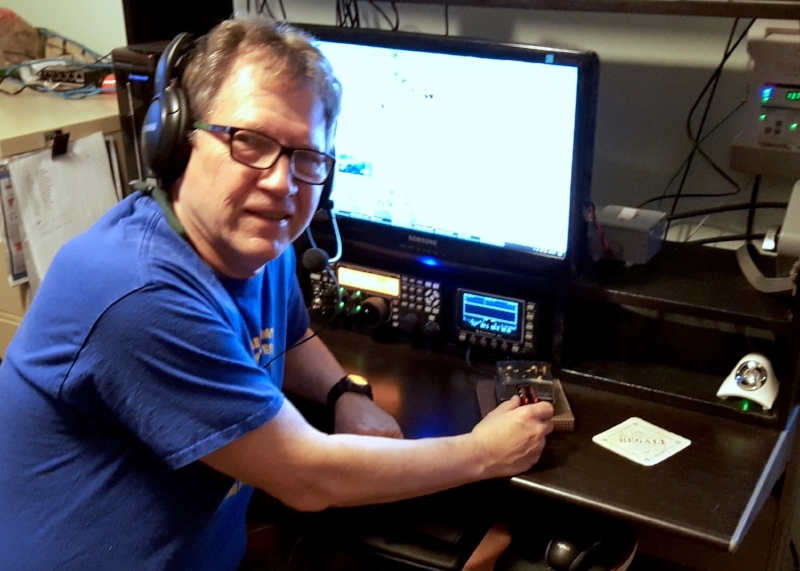 Amateur radio has much to offer, and can be a source of great personal enrichment and fulfillment that can come from giving a little of ourselves to the next generation of amateur radio operators. Dedication and persistence pay off. Everyone learns the code differently. Some people are fast learners, others need more time. Stick to it, you'll be glad you did! No matter what speed you operate at, get on the air and have fun. You can have a QSO at 6 words-per-minute. You can contest at 6 words-per-minute. You don't have to be fast to get on the air and be a CW operator. Just get on the air! There are many ways to participate in and enjoy amateur radio. For me, for the longest time, it was the joy of operating on the air and receiving an occasional QSL card. It's still a thrill to power up a radio and tune up an antenna. A big part of the amateur radio tradition is being of help to others. And there are all kinds of ways to be helpful... there are ecomms, passing network traffic, participating in a special event, being a fox, teaching a class, or even producing a podcast to name a few. But without a doubt, the most time-honored way to give back to amateur radio is to be someone's Elmer. And here's the thing about being an Elmer, you don't have to have any particular license, you don't have to have been a HAM for 50 years, or be 80 years old. You don't have to be an expert, or be able to send code at 40 words-per-minute. All you need to be an Elmer is the desire to help someone. I guarantee you, there isn't a scout troop, youth group, boys or girls club that wouldn't be thrilled to have you introduce their group of kids to amateur radio. There isn't anyone who ever had an Elmer and wasn't thankful for the one they had. Spark someone's interest. Help them get going. Work with them through the hard parts and encourage them, even more, when they are having fun... Let someone be thankful they had you for an Elmer!